What is Imigran Recovery Tablets? 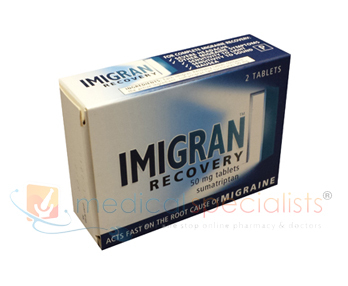 Imigran Recovery Tablets contain the active ingredient Sumatriptan which is used to treat migraine headache. Migraine symptoms may be caused by the temporary widening of blood vessels in the head. Imigran is believed to reduce the widening of these blood vessels. This in turn helps to take away the headache and relieve other symptoms of a migraine attack, such as feeling or being sick (nausea or vomiting) and sensitivity to light and sound. For children under 18 years of age. If you are not sure about any of the above conditions, please ask your doctor or pharmacist before taking Imigran Recovery Tablets. If you are a woman who has been through the menopause. In very rare cases, people have developed serious heart conditions after using Imigran, even though they had no signs of heart disease before. If any of the points above applies to you it could mean you have a greater risk of developing heart disease. 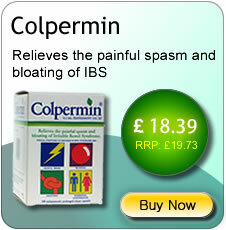 Where can I buy Imigran Recovery Tablets online? 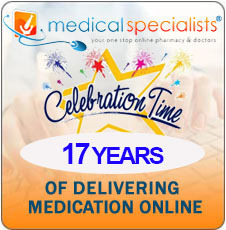 You can buy Imigran Recovery Tablets online with or without a prescription at Medical Specialists, after completing a simple online consultation. Just complete an online consultation by clicking the orange button above. 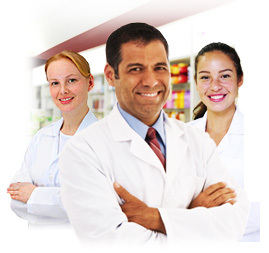 We are the UK’s leading supplier of pain killer medication, and Imigran Recovery Tablets for sale in the UK by our pharmacy which is regulated by the Royal Pharmaceutical Society of Great Britain. For full patient information, please read or print out the leaflet provided at the bottom of this page about Imigran Recovery Tablets. Like all medicines, this medicine can cause Side Effects, but not everybody gets them. Some symptoms may be caused by the migraine itself. The following Side Effects have occurred but their exact frequency is not known. The signs of allergy include rash, hives (itchy rash); wheezing; swollen eyelids, face or lips; complete collapse. If you get any of these symptoms soon after using Imigran: Don’t use any more. Contact a doctor straight away. Pain, heaviness, pressure or tightness in the chest, throat or other parts of the body, or unusual sensations, including numbness, tingling and warmth or cold. These effects may be intense but generally pass quickly. If these effects continue or become severe (especially the chest pain): Get medical help urgently. In a very small number of people these symptoms can be caused by a heart attack. 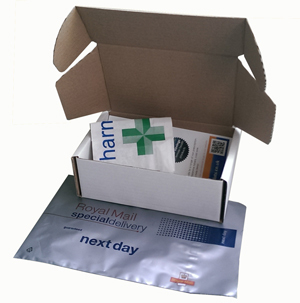 Can you take Imigran Recovery Tablets with other medicines? Tell your doctor or pharmacist if you’re taking, have recently taken or might take any other medicines. 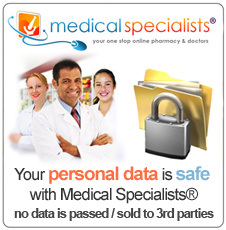 This includes any herbal products or medicines you’ve bought without a prescription. ergotamine also used to treat migraine, or similar medicines such as methysergide (see section 2 Don’t use Imigran). Don’t use Imigran at the same time as these medicines. Stop taking these medicines at least 24 hours before using Imigran. Don’t take any medicines which contain ergotamine or compounds similar to ergotamine again for at least 6 hours after using Imigran. other triptans/5-HT1 receptor agonists (such as naratriptan, rizatriptan, zolmitriptan), also used to treat migraine, (see section 2 Don’t use Imigran). Don’t use Imigran at the same time as these medicines. Stop taking these medicines at least 24 hours before using Imigran. Don’t take another triptan/5-HT1 receptor agonist again for at least 24 hours after using Imigran. 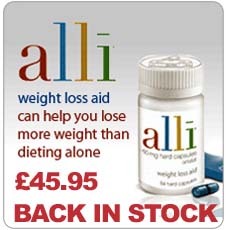 SSRIs and SNRIs used to treat depression. Using Imigran with these medicines can cause serotonin syndrome (a collection of symptoms which can include restlessness, confusion, sweating, hallucinations, increased reflexes, muscle spasms, shivering, increased heartbeat and shaking). Tell your doctor immediately if you are affected in this way. St John’s Wort (Hypericum perforatum). Taking herbal remedies that contain St John’s Wort together with Imigran may make Side Effects more likely. Don’t breast-feed your baby for 12 hours after using Imigran. If you express any breast milk during this time, discard the milk and don’t give it to your baby.